Well finally we saw the sun today with some cloud mixed in but for the most part the temperature is just right for me and hubs. The grass got cut and I have been wandering around the yard, looking at the bird houses with twigs packed in so tight I wonder how the little warblers get themselves in there. I picked a large bouquet of Lily of the Valley and the sweet smell of lilacs fill the air. Oh spring has finally arrived and it is always so nice to see new birth and growth right before my eyes. 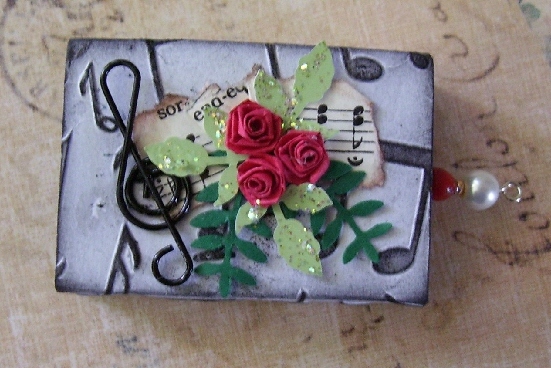 Today I want to show you my music themed matchbox for my partner for the Monthly Matchbox Yahoo group. I hope Jennifer likes it and I have stuffed some goodies inside as well but sure was hard to find music themed items so I did the best I could. I embossed the paper first with a Crafts Too music embossing folder in the Cuttle Bug, then inked the music notes in black. We were to use black somewhere in or on the box. Then I quilled some red roses, punched some fern and rose leaves and ripped a bit of hymnal music paper and folded it accordion style before placing the bouquet on the paper then attached to the box. I copied on transparency Beethoven and applied it to the drawer but you can't see it in this photo as the drawer is full of little prizes. Then I decided I would make Jennifer my new addiction, a music themed magnet. If you saw my post yesterday you will see how I made these. 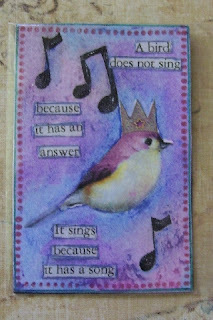 I used the bird image from my recently purchased Lisa's Altered Art bird collage sheet. I made some fun foam music notes for a stamp. I printed off this nice verse about birds,( click for a larger view), then I applied the 2x3 paper to photo magnetic sheet. I also applied a thin layer of hair spray (cheap stuff) with a paint brush to seal in the pastels. I love how these are turning out and I am making more. Such fun and nice little gifties to give to a swap partner. I hope Jennifer likes it and the box. Thanks for dropping by and I want to say again and again, I love your comments. 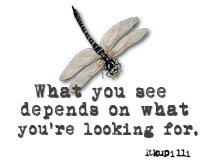 I makes me keep blogging and I am so happy to make new friends who share the same interests as myself. Be creative and make someone happy. 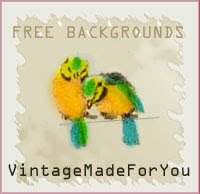 Beautiful matchboxes, lovely music theme, too! Love the matchbox so very sweet ! Think spring is here too,except for the frost last night. Had to drag everything in and cover the rest.I'm hoping it's the last time!! I love both your match boxes and am amazed at how much stuff you can fit on such a tiny surface!